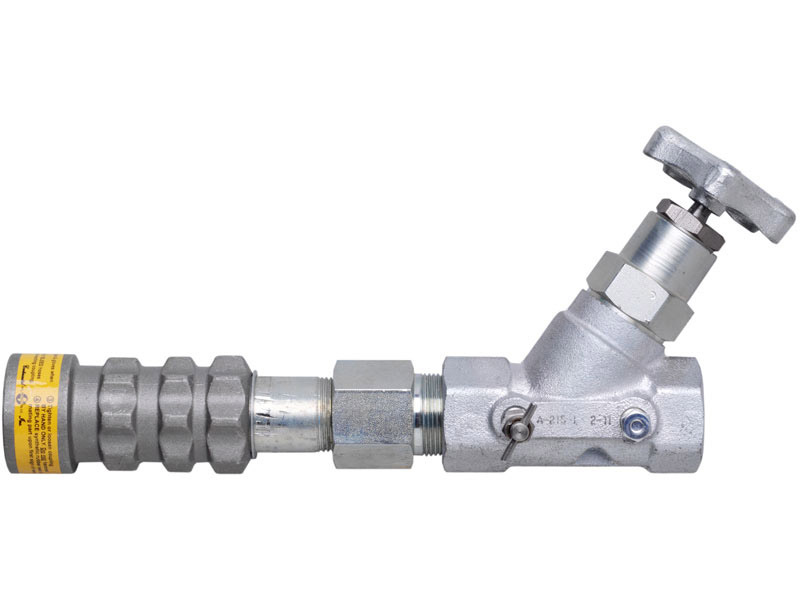 Continental NH3 (anhydrous ammonia) hose end valve assemblies are factory assembled and tested for use in transfer hose assemblies for both liquid and vapor service and serve as a quick shutoff valve. 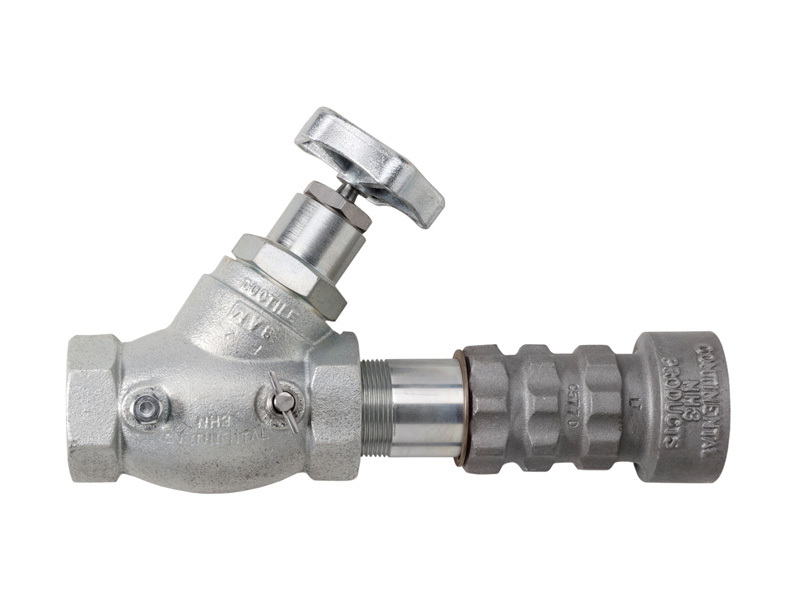 Continental NH3's hose end valves feature bleeder valves installed with a 45 degree hand wheel on all of products except for A212 productl ine for high flow control. 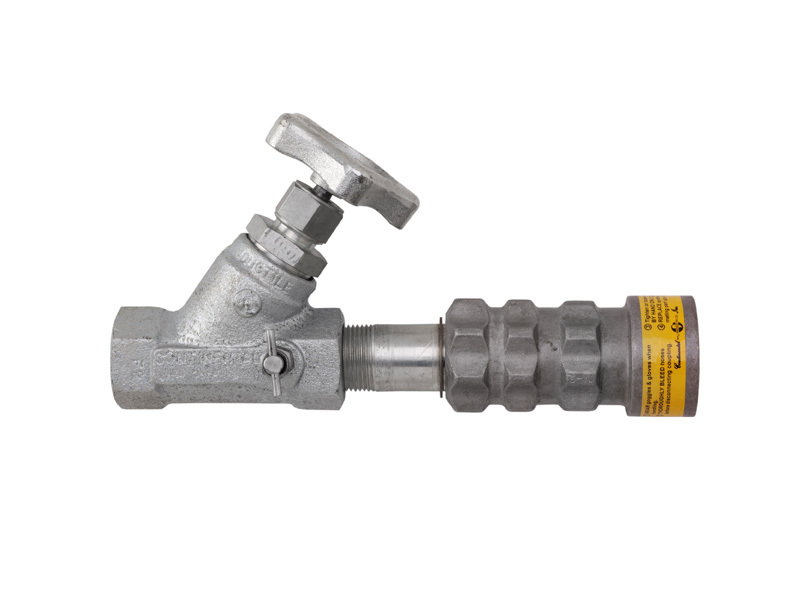 These valve assemblies are a combination of Continental's rugged ductile iron high flow angle or globe valves, full flow 1-3/4" and 2-1/4" ACME thread couplings, either standard length or safety extension, and A-411 stainless steel bleeder valve with the exclusive anti-flash seal ring. Please contact Continental NH3 for product manuals for B-Series 211, 212, 213, 214, 211L, 212L, 214L as well as A-215L & A-216L. 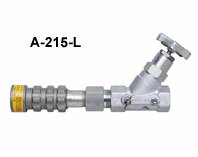 The A-215-L GlobeValve promotes maximum flow in a compact design. 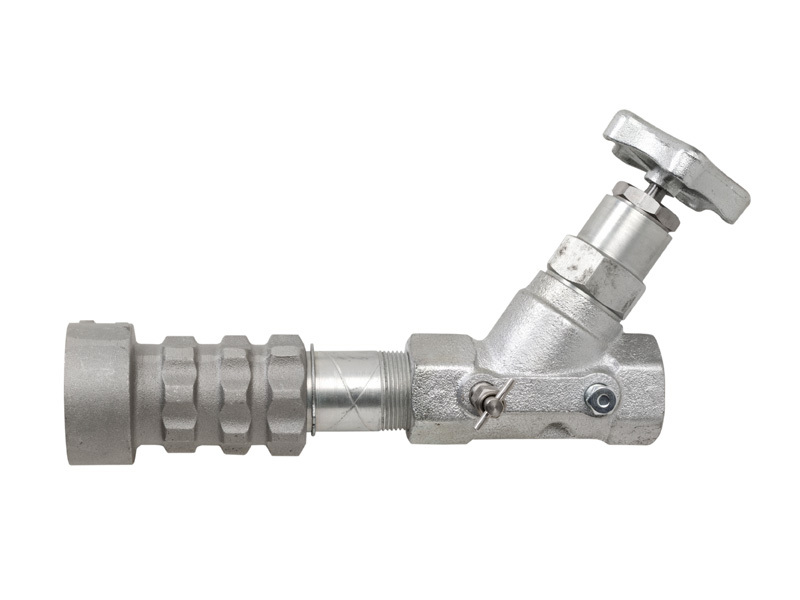 The 1-1/4 FPT Inlet x 1-3/4 Acme coupling enables the user to take full advantage of the increased flow capacity of 1-1/4" hoses while at the same time eliminating the flow restriction produced by a reducer bushing required by other valves.